I am forever reiterating to my coaching clients how privileged we are to be living in a time where we can take our product or service offering to a global market with a click of a few buttons. Platforms like Instagram, Facebook, PayPal, Etsy are all mostly free apps that allow us to take part in the booming information age. No longer are we totally reliant on the traditional education systems to change our lives, these days we take our learning styles into our own hands and choose an expert that aligns with our personal values and who have proven their success rather than just teach it. If you are ready to change your belief around how money is earnt in business, are ready to let go of the old paradigm of a hard 9-5 grind and are prepared to enter the online realm where money can be made passively in your sleep here are 3 simple steps you can take today. Set up a passive income stream. This could be an ebook, online course, paid online membership. Even if you run a product based business, you still have something to teach your tribe. People are choosing to learn in fun and creative ways and we all have something we can be an expert on. I personally learned the formula of selling in the online marketplace in the very first year of business. I had less than 4000 followers on Instagram and was still fresh to business but found a niche that I was passionate and confident to teach on. I developed my first e-course and made $12,000 in 2 weeks. I’ve since taught this skill set to other entrepreneurs who are fresh to business or have been in business for a number of years and have sat back and watched them literally make thousands of dollars in a matter of days. Grow your database. Once you have your offering, you need to continually build your tribe. The most secure way to do this is, is an email database. This is something you own and that can’t be taken away from you as an Instagram account could be. Commit to coming up with fresh and exciting ways to capture your audience’s attention, draw them to your website and have them leave their email address. You might like to consider things like a competition, free opt-in (cheatsheet, business plan, recipe etc) discount code, first access to an offering etc. Consistently show up for your audience. 70% of your audience’s mind is already made up before they make contact with you. Let’s be honest, we can all relate to being those stalkerish customers. How many times have you caught yourself talking about a brand, product, expert, professional that you follow on Instagram but have never purchased from or reached out to? When you consistently show up as an expert, especially on social media channels, you have no idea how many people you are slowly being convinced that you are worth investing in. Get clear on your messaging, be consistent and know that people are watching and deciding if they like/trust you – show them that you’re worthy. 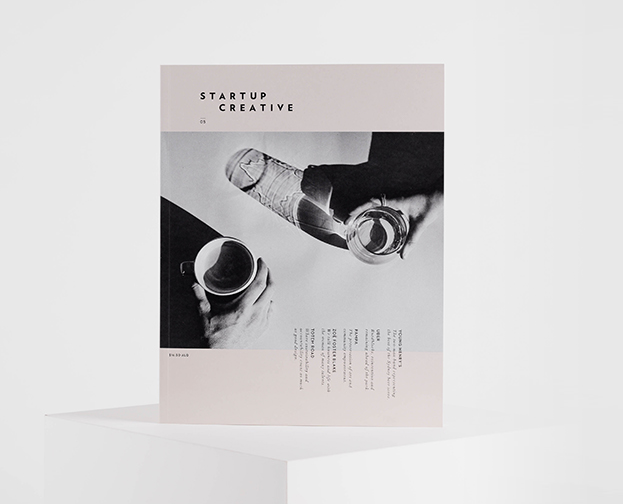 As of the 1st November, I will be writing a new e-course for StartUp Creative to be launched in January 2019. I have decided to open up a handful of spaces for a group of passionate entrepreneurs who would like to do the same. All applicants will receive details of the course and will be invited to pay a deposit to secure their spot.